Add the safety, reliability and performance of disc brakes to your vehicle with our drum to disc brake conversion. 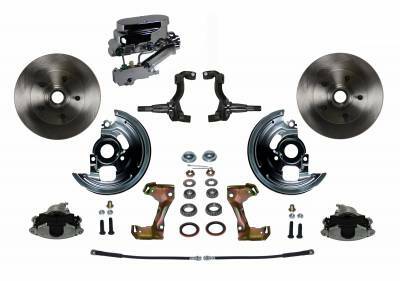 In this kit you receive everything you need to mount single piston disc brakes to the control arms of your vehicle. All components used in these kits are new high quality, precision machined products.